I ran across this Kickstarter project on Facebook today and it looks really cool! I will certainly be a backer to support their efforts. 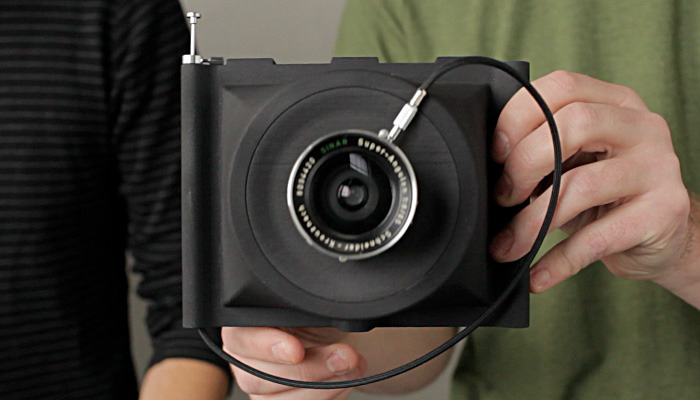 Travelwide is meant as an ultralight thus highly portable 4×5″ camera. 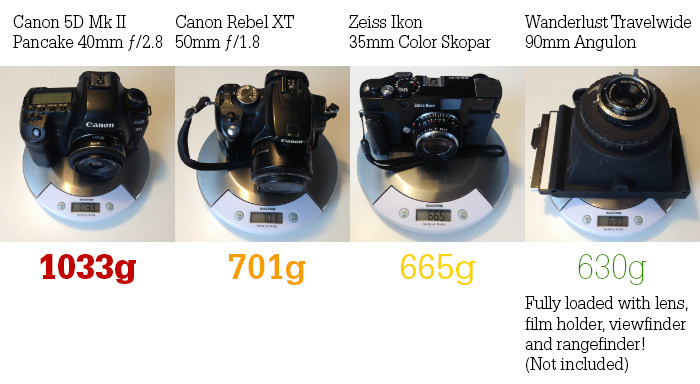 4×5″ is a wonderful format, a lot bigger than 35mm with a far smaller depth of field than 35mm (yuyy) but if you want to take that on the go it’s going to be either big, lug, heavy and maybe reasonably affordable or small, compact but expensive. Depending on your demands this might be the right-in-between you’re looking for. The other upside of this camera besides obviously its weight (630 g fully loaded) and portability is its price…there’s not much else you can get for $99,- that will allow you to shoot 4×5″! For this price you will get a camera, sport finder, a pinhole thing and..I think that’s it. There are also two models to choose from: 1 is the Travelwide 90 and the other is the Travelwide 65. The 90 is designed to use with an Angulon 90mm lens while the 65 is designed for an Angulon 65mm lens, for the uber-wide angle lovers. 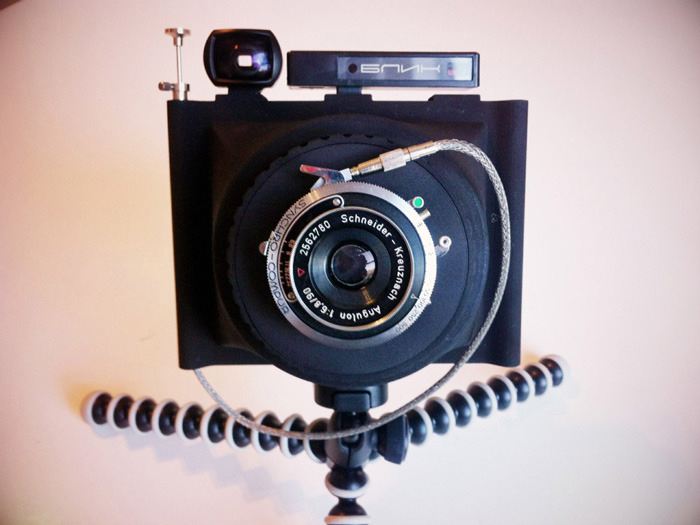 Anyway, the people from Wanderlust Cameras are far better able to tell you what the project and cameras are all about so have a look at their Kickstarter Page. Shooting with the Travelwide from Ben Syverson on Vimeo. This entry was posted on April 3, 2013 by Contrastique. It was filed under Miscellaneous and was tagged with 4x5 camera, believe in film, kickstarter, project, travelwide, travelwide 65, travelwide 90, wanderlust cameras. Might want to try a Toyo CF for starters. Won’t break the bank, my first 4×5 was a Toyo Aii has a nice set of features on it, if you are using a holder like the InCameraIndustries guys there will be no issue of durability. I am using an old Cambo 8×10 with a 4×5 back for my ventures into wet plate. Thanks for the heads up but no need for it anymore…I just bought a Linhof Master Technika Classic 😉 That’ll serve me well for the next couple years!